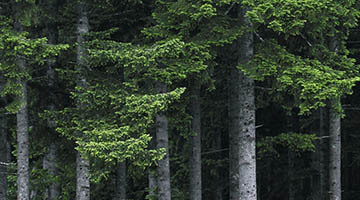 The Articles of Incorporation of Weyerhaeuser Company (the “Company”) provide that the business and affairs of the Company are managed under the direction of the Board of Directors (the “Board”). The Board is responsible for the overall stewardship of the Company and is elected by the shareholders to assure that the interests of all shareholders of the Company are being served. Management of the Company’s business is the responsibility of the Chief Executive Officer and senior management. Approve Directors to be appointed to the Board and recommend to the shareholders candidates to the Board of Directors to be elected at the next annual meeting of shareholders, with the assistance of the Governance and Corporate Responsibility Committee and considering the selection criteria identified from time to time by the Governance and Corporate Responsibility Committee. Determine whether each Director is “independent” in accordance with criteria established by the Board, including relevant laws and the listing requirements of the New York Stock Exchange. Review and determine from time to time with the assistance of the Governance and Corporate Responsibility Committee the corporate governance guidelines applicable to the Board. Determine with the assistance of the Compensation Committee reasonable compensation to be received for services as a Director. Annually evaluate the overall performance of the Board with the assistance of the Governance and Corporate Responsibility Committee and annually review the performance of Board committees. During periods when an independent Director serves as Chairman, review the performance of the Chairman periodically and no less frequently than every three years. Periodically hold executive sessions without management being present. During periods when the Board does not have an independent director serving as Chairman, the independent Chairman of the Executive Committee will act as the Lead Director for executive sessions of the independent Directors and will be responsible for reporting to management regarding any comments or concerns of the Directors. Review and approve the long-term business plan and goals of the Company. Review and approve the fundamental financial and business strategies of the Company and its businesses that will be used to meet the Company’s goals, including annual capital and operating targets. Approve major corporate actions and decisions of the Company and delegate to senior management the responsibility for day-to-day management of the Company and the authority to enter into certain types of transactions subject to specified limits, as appropriate. Oversee the quality and integrity of the accounting, auditing, and financial reporting practices of the Company, and the Company’s compliance with legal and regulatory requirements, with the assistance of the Audit Committee. Annually approve with the assistance and recommendation of the Audit Committee the Company’s annual report, and Company’s audited financial statements for inclusion in the annual report to shareholders. Act as advisor and counselor to senior management and monitor its performance. The CEO will assist in establishing contact between the Directors and senior managers of the Company. Assess major risks facing the company with the assistance of the Audit Committee and Governance and Corporate Responsibility Committee, as appropriate, as well as options for mitigation of the risks. Approve and monitor compliance with all applicable laws as well as significant policies and procedures by which the Company is operated with the assistance of the Audit and Governance and Corporate Responsibility Committees. The Board, with the assistance of all the committees, will counsel the Company with regard to policies related to the Company’s social license to operate. Review and determine from time to time with the assistance of the Governance and Corporate Responsibility Committee the ethics principles applicable to the Company. The Company expects that there would be no waivers of the ethics policy, but the Board has the responsibility for reviewing and approving any waivers of such principles with regard to the Company’s principal executive, finance and accounting officers and for promptly disclosing such waivers. Annually review and approve the Company’s proxy statement for distribution to shareholders in connection with the annual meeting of shareholders. Appoint the Company’s corporate officers. Approve the selection and appointment of the Company’s CEO. Annually evaluate the performance of the CEO using the evaluation process established by the Governance and Corporate Responsibility Committee. Based on the performance evaluation, annually determine the compensation to be paid to the CEO with the assistance of the Compensation Committee. Provide counsel and oversight with the assistance of the Governance and Corporate Responsibility Committee on the selection, evaluation, and development of senior management. The Articles of Incorporation of the Company provide that the Board of Directors must consist of not fewer than nine and not more than thirteen directors, with the exact number to be fixed by resolution adopted by a majority of the directors. The Board will determine from time to time the number and qualification of Directors appropriate for effective operations of the Board. The Board should encompass a range of talent, skill and expertise sufficient to provide sound and prudent guidance with respect to the Company’s operations and interests. At all times a majority of the Board must be “independent directors” as defined from time to time by law, the listing requirements of the New York Stock Exchange and any specific requirements established by the Board. In accordance with the Bylaws of the Company, as amended, if none of the Company’s shareholders provides the Company notice of an intention to nominate one or more candidates to compete with the Board’s nominees in a director election, or if the Company’s shareholders have withdrawn all such nominations on or prior to the expiration of the time fixed in the Bylaws for submitting nominations (a "contested election"), a nominee must receive more votes cast for than against his election or re-election in order to be elected or re-elected to the Board. The Board shall nominate for re-election as directors only incumbent candidates who tender, prior to the mailing of the proxy statement for the annual meeting at which they are to be re-elected as directors, irrevocable resignations that will be effective upon (a) the failure to receive the required vote at any annual meeting at which they are nominated for re-election and (b) Board acceptance of such resignation. In addition, the Board shall fill director vacancies and new directorships only with candidates who tender, at or prior to the time of their appointment to the Board, the same form of resignation tendered by other directors in accordance with this provision. The Governance and Corporate Responsibility Committee (or such other committee as the Board may appoint) shall make a recommendation to the Board as to whether to accept or reject the tendered resignation, or whether other action should be taken. The Board shall act on the tendered resignation, taking into account the recommendation of such committee, and publicly disclose (by a press release, a filing with the Securities and Exchange Commission or other broadly disseminated means of communication) its decision regarding the tendered resignation within 90 days from the date of the certification of the election results. The committee in making its recommendation, and the Board in making its decision, may each consider any factors or other information that it considers appropriate and relevant, including whether the acceptance of any resignation would cause the Company to fail to comply with any requirement of the New York Stock Exchange or any rule or regulation promulgated under the Securities Exchange Act of 1934. The director whose resignation is under consideration shall not participate in the recommendation of the committee with respect to his or her resignation. Such incumbent director will continue to serve as a director for a term that will terminate on the date that is the earliest of (i) 90 days from the date of the certification of the election results, (ii) the date on which a person is selected by the Board of Directors to fill the office held by such director, which selection shall be deemed to constitute the filling of a vacancy by the Board of Directors, and (iii) the date on which the director’s resignation is accepted by the Board or the director is removed. The Board, in its sole discretion, may fill any resulting vacancy or may decrease the size of the Board. The Board determines a retirement policy for Directors. The current retirement policy requires Directors to retire at the annual shareholders’ meeting following the Director’s 72nd birthday unless the policy is waived by the Board. The Board currently believes it is not necessary to institute term limits for Directors. The Board’s evaluation of its performance will be an important determinate for Board tenure. A Director whose principal occupation changes while serving on the Board will submit his or her resignation to the Governance and Corporate Responsibility Committee for consideration. The Governance and Corporate Responsibility Committee will determine whether to accept or reject the offer of resignation based on the Committee’s view of the contribution of the Director to effective operations of the Board and the best interests of the Company and its shareholders. Service on other boards and other such activities contribute valuable experience and perspective to the Board. However, other commitments also present demands on a Director's time and availability. The Board expects that every Director have sufficient time to commit to attending, and being prepared to contribute at, Board and committee meetings. Directors should advise the Chairman and the Chair of the Governance and Corporate Responsibility Committee prior to committing to serve on another public company board of directors or audit committee. A Director may not serve on more than four public company boards, inclusive of the Company Board, or, if a director serves as the principal executive officer of a public company, on more than three public company boards, inclusive of the Company Board, unless, in each case, the Board determines that such service would not impair such Director's ability to effectively discharge his or her duties as a Director of the Company. Directors who serve on the Audit Committee may not serve on more than three public company audit committees, inclusive of the Audit Committee, unless the Board determines that such simultaneous service would not impair such Director's ability to effectively discharge his or her duties as a member of the Audit Committee. The Chairman will be appointed by the Board in the shareholders’ best interest. The Board believes it may be desirable to separate the office of Chairman and CEO from time to time; however, the Board believes it is not in the shareholders’ best interest to adopt a policy requiring the separation of the office of Chairman and CEO at all times. During periods when an independent Director serves as Chairman, the Board periodically will review the Chairman’s performance as provided in “Goals and Responsibilities – Board Function and Operation” above. The Board may establish committees to assist in the execution of the Board’s responsibilities and, with the assistance of the Governance and Corporate Responsibility Committee, approve the charter and scope of responsibilities delegated to each committee and appoint the members and chairpersons of each committee. Committees may be standing committees or ad hoc. Standing committees of the Board will include an Executive Committee, Audit Committee, Compensation Committee, Governance and Corporate Responsibility Committee and such other committees as the Board determines are necessary and appropriate from time to time. Committee composition must be in compliance with all laws and listing requirements of the New York Stock Exchange as well as requirements established by the Board in the committee charter. The Chairman of the Executive Committee must be an independent Director. Each committee will report to the Board with respect to its activities. Committees will have the power and authority to retain the services of advisers, consultants and experts as necessary or appropriate with respect to matters within the scope of responsibility of the committee. The Board has a number of scheduled meetings a year at which it reviews and discusses reports by management on the performance of the Company, its plans and prospects, as well as immediate issues facing the Company. In addition to regularly scheduled meetings, unscheduled Board meetings may be called upon appropriate notice at any time to address specific needs of the Company. The Chairman will establish the agenda for each Board meeting. Directors are encouraged to suggest items for inclusion on the agenda or request the presence of or a report by members of the Company’s senior management and may, at any Board meeting, raise subjects that are not on the agenda for consideration at that meeting. Each Director is expected to exhibit high standards of integrity, commitment and independence of thought and judgment; to use his or her skills and experiences to provide independent oversight to the business of the Company; and to represent the long-term interests of all the shareholders of the Company. Directors must be willing to devote sufficient time to carrying out their duties and responsibilities effectively. Directors must be committed to devoting the time and effort necessary to learn the business of the Company and the Board. The Company will assist the Board by providing appropriate orientation programs for new Directors, which will be designed to give the Director an understanding of the Company’s businesses and key challenges. The Company will also help Directors to develop and maintain skills necessary or appropriate for the performance of their responsibilities and will provide periodic visits to Company facilities to assist the Directors in understanding the Company’s businesses. Directors are expected to participate in training programs and visits to facilities. Directors will receive routine reports as well as background information and summaries with regard to major presentations in advance of each Board meeting to facilitate informed discussion of major Board decisions. Directors are expected to attend, be prepared for and actively participate in Board and committee meetings. Directors are encouraged to keep themselves informed with respect to the Company’s affairs between Board meetings. The Board and each of its committees may select and retain the services of one or more independent outside advisors (financial, legal, compensation, or other expertise) as it considers necessary or advisable in its discretion. The Company shall provide adequate funding for the Board to compensate any such advisors retained or engaged by the Board. Each Board member shall have access to the CEO and to other members of senior management for matters relating to the Company's business and operations. Board members shall use good judgment and discretion to ensure that such access is not disruptive to the management of the Company. The Board expects Directors, as well as the Company’s officers and employees, to act ethically at all times and to adhere to the policies and principles set out in the Company’s code of ethics, Our Reputation, A Shared Responsibility. If any actual or potential conflict of interest arises for a Director, the Director should promptly inform the Chairman. If a significant conflict exists and cannot be resolved, the Director should resign from the Board. All Directors will excuse themselves from any decision affecting their personal, business or professional interests and may participate in discussions of such matters where appropriate only after fully informing the other Directors of the nature of the interest in the matter. The CEO is responsible for establishing communications with the Company’s stakeholder groups such as shareholders, customers, communities, suppliers, governments and the media. The Board endorses the current practice that Directors not communicate with outside constituencies unless requested to do so by the Board or the CEO.